Latest Nigerian Current Affairs Past Questions and Answers: Here are some of the latest Nigerian current affairs past questions and answers, including current affairs for job exams, Nigerian current affairs questions for scholarship exams, current affairs for interviews, general knowledge, current affairs for different kinds of exams and for other purposes. Current Affairs is tested by some exam bodies and Nigerian institutions like OAU, OOU, etc in their Post UTME. The subject deals with general knowledge of facts and events mainly in Nigeria and other parts of the world. Study the following Current Affairs past questions and answers for Post UTME and other important upcoming exams where current affairs questions about Nigeria are asked. Prepare yourself with official past questions and answers for your upcoming examinations. Question: Who formed the first political party in Nigeria? Question: What was the first political party in Nigeria? Question: Who is the current president of Nigeria? Question: Who is the current vice president of Nigeria? Question: What does the eagle in the Nigerian coat of arm represent? Question: What do the two horses on the Nigerian coat of arm represent? Question: What was the black shield in the Nigerian coat of arm stand for? Question: What does the white colour in Nigerian flag stand for? Question: What does the green colour in Nigerian flag represent? Question: Nigeria is divided into how many geopolitical zones? Question: What was the first capital city in Nigeria? Question: What is the capital of Nigeria Now? Question:. Who is the current Nigerian Deputy Senate president? Question: What is the name of Nigerian senior national team in football (men team)? Question: Who was the first female vice chancellor in Nigerian university? Question: Who gave Nigeria her name? Question: Who designed the Nigerian flag? Question: Who was the first man to buy a car in Nigeria? Question: Who was the first woman to buy a car in Nigeria? Question: Which was the first TV station in Nigeria? Question: When was Nigeria formed? Question: Where was crude oil first discovered in Nigeria? Question: Who was the first Nigerian to become a Noble Laureate? Question: Who is the Nigerian current speaker of house of Assembly? Question: What is the premier university in Nigeria? Question: Who is the minister for education in Nigeria? Question: Who is the current chief justice of Nigeria? Question: When did Nigeria have her independent? Question: When Nigeria did become a republic? Question: When was the first military coup carried out in Nigeria? Question: How many local Government do we have in Nigeria? Question: Who is the first Nigerian president? Question: Who was Nigerian first executive president? Question: Who was the Nigerian first prime minister? Question: What is the largest continent in the world? Question: What are the five Oceans in the world? Question: What is the full meaning of UNICEF? Question: Who is the current Senate President in Nigeria? Question: Which country’s flag is called the Union Jack? Question: When did Nigeria became a Republic? Answer: Nigeria officially the Federal Republic of Nigeria, is a federal constitutional republic comprising 36 states and its Federal Capital Territory, Abuja. 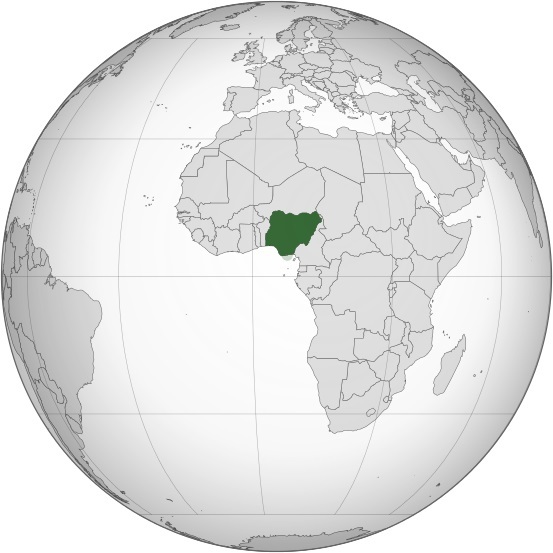 Nigeria is located in West Africa and shares land borders with the Republic of Benin in the west, Chad and Cameroon in the east, and Niger in the north. Question: Who won the 2015 Nigerian presidential general election? Question: Which of the following best describes French colonial policy in Africa? Question: Which of these men introduced indirect rule in Nigeria? Question: Who is Nigeria’s Chief of Army Staff? Question: Who is Nigeria’s Chief of Naval Staff? Question: Who is Nigeria’s Chief of Air Staff? Question:. Who is the current INEC chairman? Question: Who is the current NAFDAC Director General? Question: Who is the current Inspector General of police? Question: Who is the current minister of education? Question: Mention five rivers in Nigeria that share their names with a state. Question: Mention 5 past senate presidents of Nigeria. Question: Who is the current minister of finance? Question: Who is the current minister of defence? Question: Who is the current minister of FCT? Question: Who is the current Nigerian Deputy Senate president? Question: Which country won the last world cup? Question: Who was the first woman to drive a car in Nigeria? Question: What is the first TV station in Nigeria? Question: Who is the current CBN Governor? Question:. Who was the first Nigerian to become a Noble Laureate? Question: Who is the minister for petroleum resources in Nigeria? Question: When was the Nigerian Naira introduced? Question: When were the currency notes introduced? Answer: 100 naira:1999, 200 naira in 2000, 500 naira in 2001 and 1000 naira on October 12, 2005. Question: How many ministers do we have in Nigeria? Question: With which countries does Nigeria share boundaries? 21. Which of the following is NOT an acceptable means of achieving democracy? (A) back benchers in the house (B). Deputy prime minister and assistant ministers (C) rebellious members of the ruling party (D) portfolio designates. Of the party in opposition. (A) africa being the centre piece of Nigeria foreign policy (B) Non-aligned posture in international affairs (C) quest for a permanent membership (D) membership of internationl organisation. 2. Which of the following political parties did not participate in the 1979 General Elections in Nigeria? 5. Which of the following courts served as the highest judicial organ for Nigeria up till 1963? 6. Into how many local government areas is Nigeria officially delineated? 13. Which of the following best describes French colonial policy in Africa?